Overview: The Wild West game is a 9-payline, 5-reel non-progressive video slot that features a fun pick me bonus to boost your wins. The penny slot instant play casino game can be played at Win A Day Casino without the need for download. 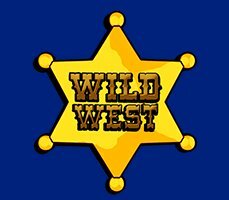 With good sound effects and pleasing animations, Wild West is a game for fans of the Wild West way of life. 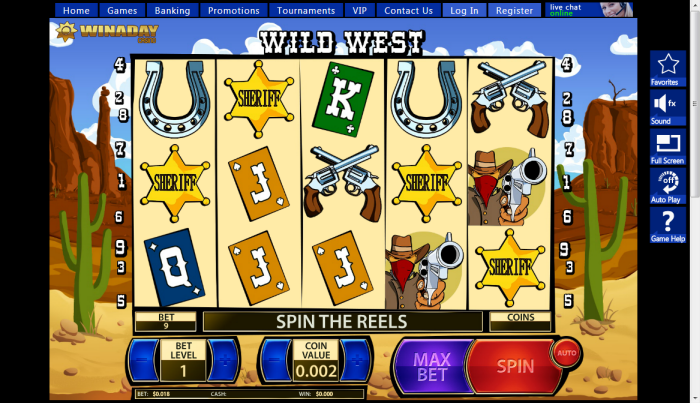 Themed around bandit and cowboy items, this online slots real money game features a desert background with cacti, while the reels resemble icons of the west. Each win is accompanied with an acoustic riff while music is played for each spin. 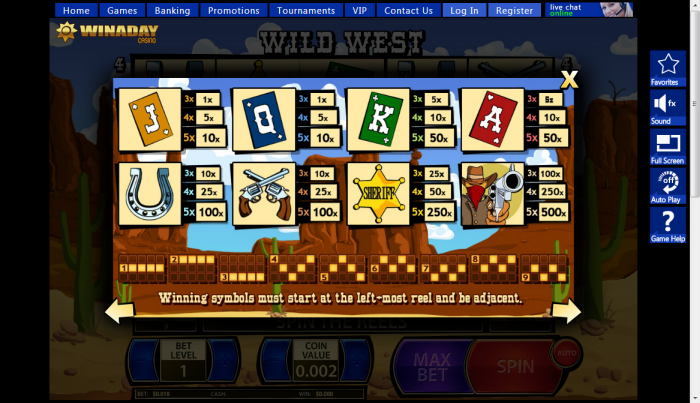 The bonus feature in Wild West is triggered when three or more bank symbols appear anywhere on the reels. Any bandit will know this is the chance to walk away with a lucrative loot. 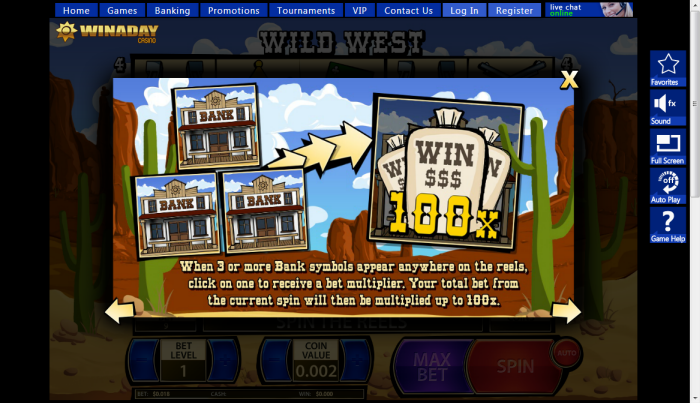 Players must click on one of the Bank symbols to receive a bet multiplier of up to 100x. Making this a fantastic reward on this low wager penny slots. Best of all is that as a bandit you will get to rob the bank several times each playing session, letting you escape the sheriff with big wins and hours of fun playing time. Similar Slots: If you like Wild West, you might like these other slot machines from Win A Day Casino: City Girls, Safari Park, Slot-O-Matic, Touchdown.